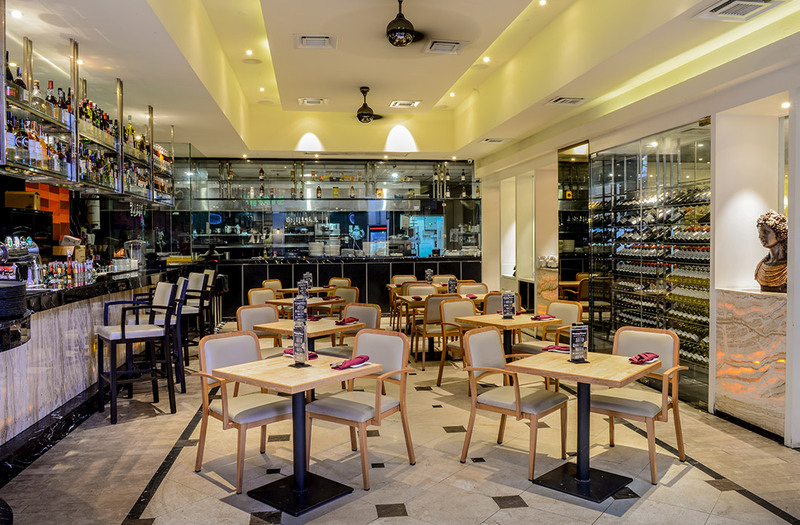 In Pavilion KL shopping mall, sits an Italian restaurant that serves up one of the best Italian flovours in town Michelangelo's has a simple yet modern interior with 3 different types of dining options that you can choose from - bar, casual dining or a more cozy lounge setting. 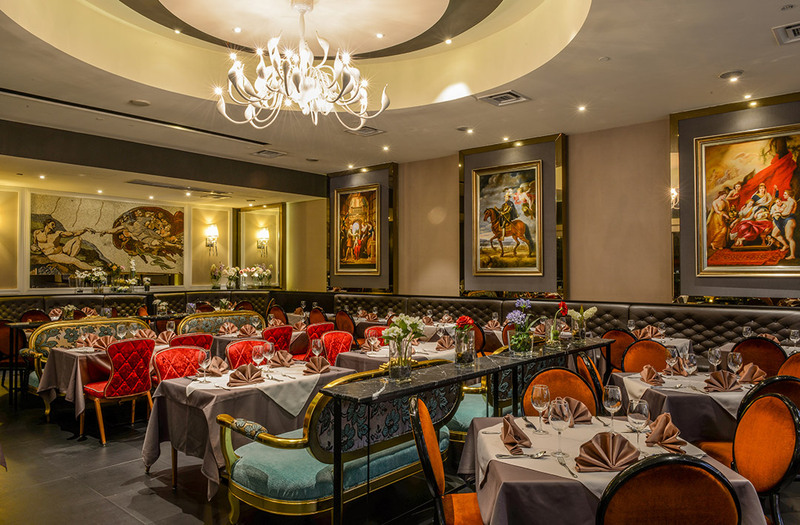 Read on to check out the dining highlights. To start us on our Italian food journey, we had Polipetti Affogati. A well presented dish. 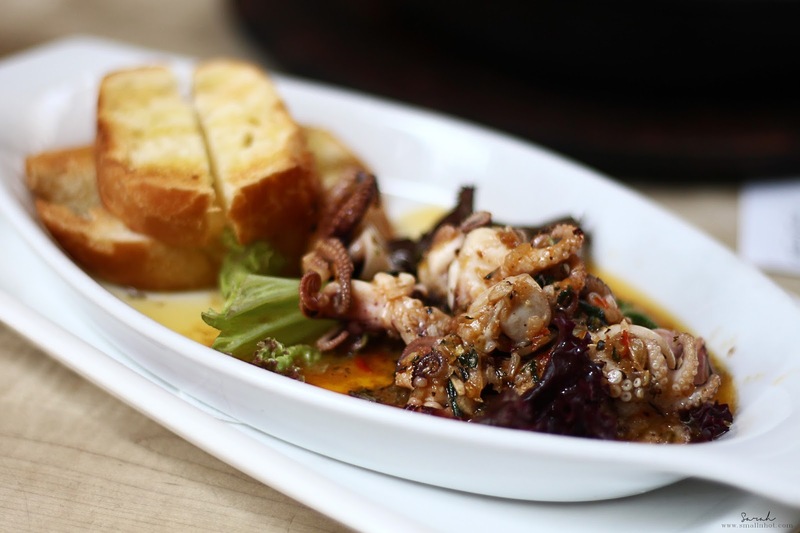 The baby octopus was incredibly fresh and juicy, but the highlight of this dish has to be the garlic chili lemon juice sauce. When you pair it with the baby octopus, you'll get a bit of sweet, sour, spicy flavour and zing from the garlic. 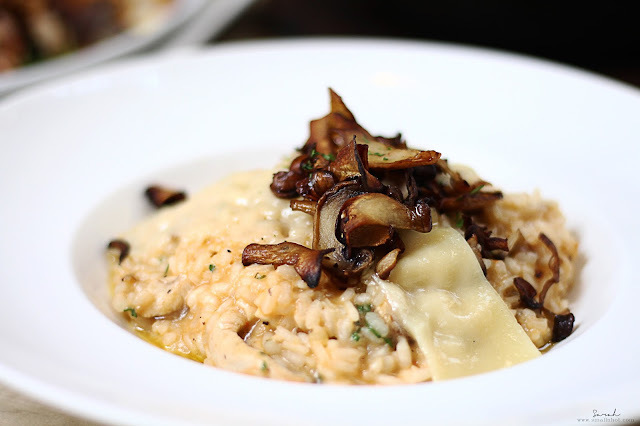 Next was a dish that truly demonstrates Italian cuisine, which is the Risotto Pollo Funghi. As the description suggests, it was served with chicken, mushrooms and parmesan cheese. The risotto was very well cooked. rich, creamy in texture and the cheese gives a fulfilling taste without overpowering the flavour of the whole dish. The cuts of mushrooms and chicken helped lift the dish even more. 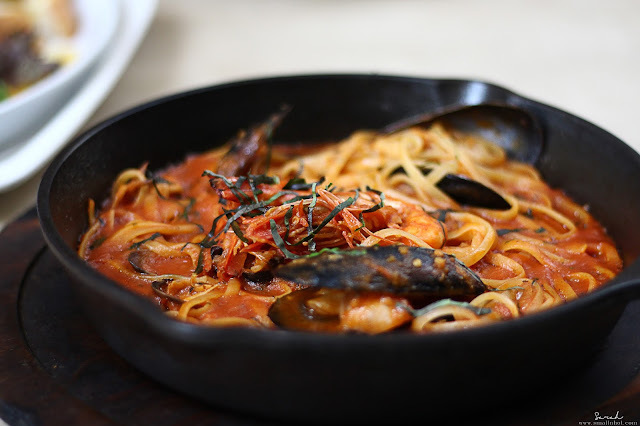 Continuing our experience was Linguini Marinara with tiger prawns, mussels, clams and squids. Another flavourful dish, with a generous amount of seafood. All the seafood added a little sweetness to the dish, pairing well with the sour of the special tomato sauce. 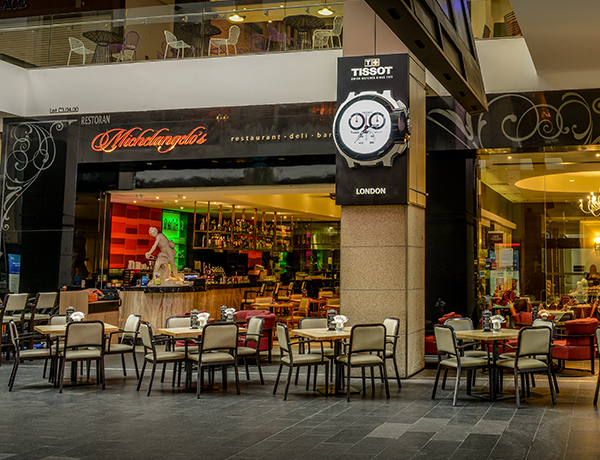 Altogether a dish of satisfying flavours. A must try from Michelangelo's is their Iced Chocolate Cube Special. 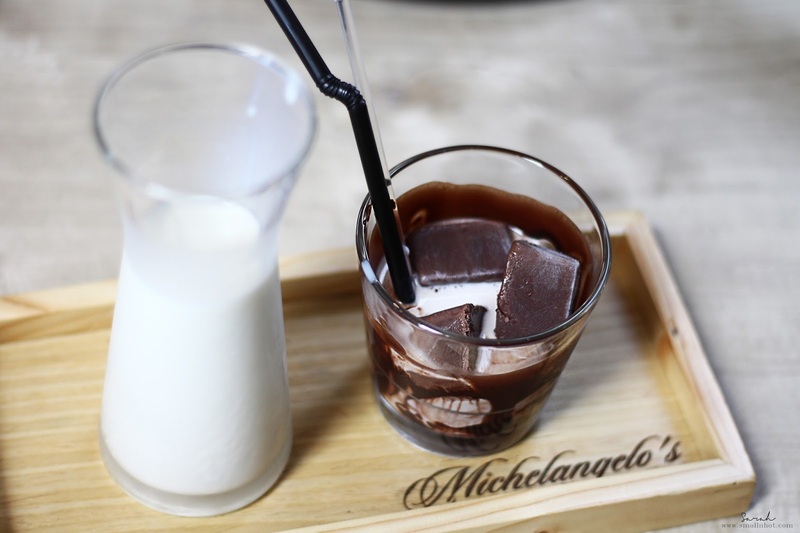 Just when you thought iced chocolate couldn't get any better, Michelangelo has collaborated with Cocoraw in creating chocolate ice cubes with Cocoraw signature chocolate truffle formula. And the result is a glass of rich and intense iced chocolate. The best part is the fact that you can add in as much or as little milk as you like, making your very own kind of iced chocolate. To finish, we had the signature Italian dessert, Zuccotto Semi Freddo. Every bit tasted as good as it looked. 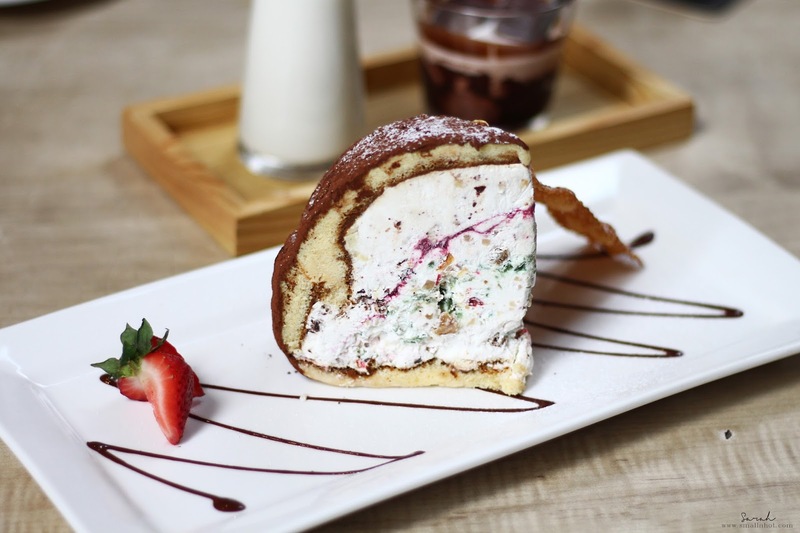 The sponge cake was soft and spongy, whereas the creamy ricotta cheese delivers a powerfully rich taste of cheese but not heavy in any way. All the almonds, dark and white chocolate chips and confit fruits helped in balancing the dessert by adding a little texture and lovely sweetness to it. 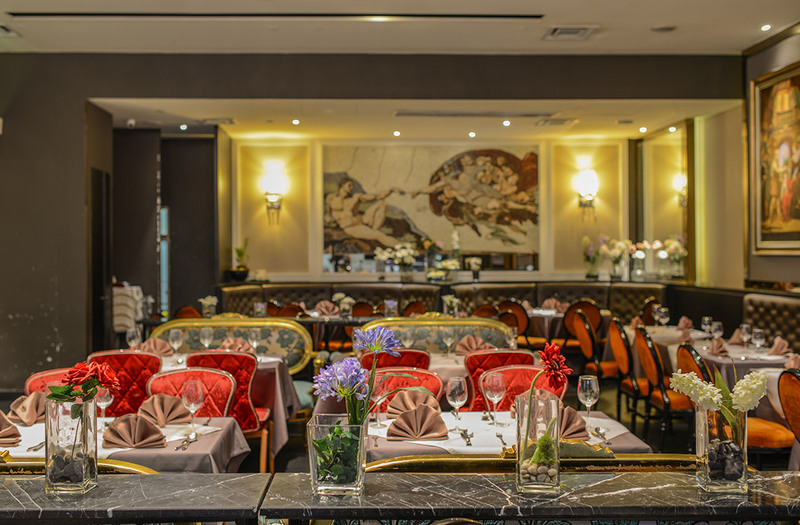 Overall, Michelangelo's pricing is slightly above average but the portion are large and flavours are exceptional.So if you ever in the mood for a full Italian experience, head down to Michelangelo's as it is without a doubt, one of the best Italian restaurants in KL right now. P.S. Their pizza's are amazing too.